After their blowout loss against the Philippines in the Asian Games, Kazakhstan vowed that their next encounter would be different. They came through with that promise. They made their way to Manila and upset the Philippine Team in front of a packed home crowd. The game started out slow as the Kazakhs jumped out to an early five-point lead. The Philippines focused their offense to take advantage of their size inside. They force-fed June Mar Fajardo and he delivered. He powered the Philippnes ahead, 11-7. Japeth Aguilar joined in on the fun as the two pushed the Philippines to a one-point lead after the first period. The score stayed close all the way through. The Philippines focused their effort in the paint as their outside shooting was still off target. The reverse was true for Kazakhstan. Their outside shot was on point with Alexandr Zhigulin leading the way. The Kazakhstan big man was dropping bombs on pick-and-pop plays with his guards. He was the main weapon Kazakhstan was riding throughout the game. 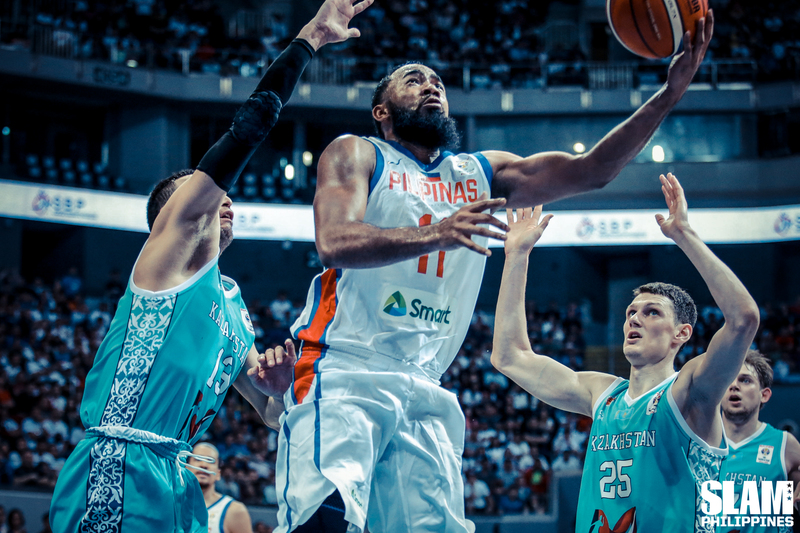 Stanley Pringle tried to take over and lead the Philippines to the win in the second half. He repeatedly escaped his defenders with his slippery dribbling and shifty change-of-pace game. Any time the Kzakhs would try to pull away, Pringle had an answer to their run. 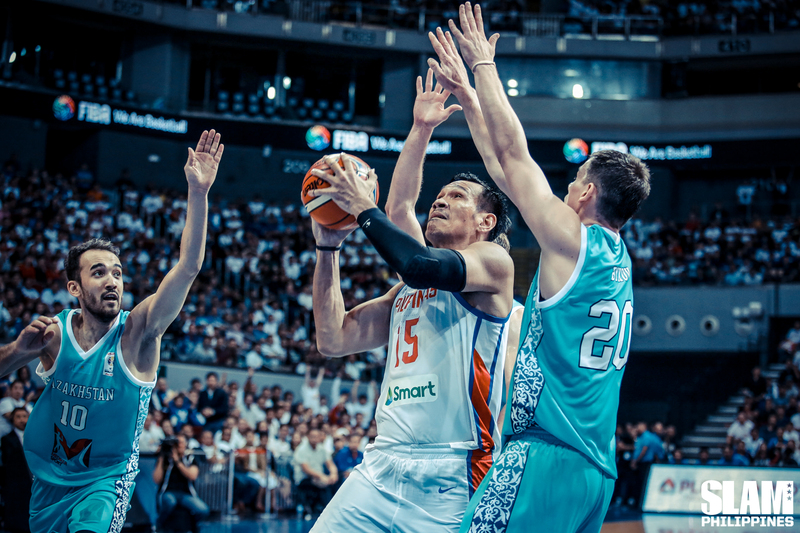 The Philippines took a four-point lead midway through the final period when Fajardo powered his way to a basket inside over three defenders and Pringle drove straight into the heart of the Kazakh defense for a layup. Unfortunately, Zhigulin was on fire. He brought Kazakhstan back into the game and a one-point lead. Pringle scored on a basket inside with two minutes left in the game to give the Philippines a one-point lead. But that was the last time the Philippines would lead. Anton Bykov and Rustam Yergali nailed clutch free throws from the line in an 8-2 counter-attack to give Kazakhstan a five-point lead. Marcio Lassiter gave the Philippines one last glimmer of hope when he nailed a three-pointer to cut the deficit down to just two points with less than 30 seconds left. But Yergali and Bykov struck again with a pick-and-roll dagger to end the game. Pringle led all Philippine scorers with 29 points. Fajardo had a big 14-point, 13-rebound double-double. Lassiter added 13 on three treys. Zhigulin exploded for 30 points on three treys while Bykov had 20. The Philippines faces Iran in Manila on December 3 for their final game of this window.